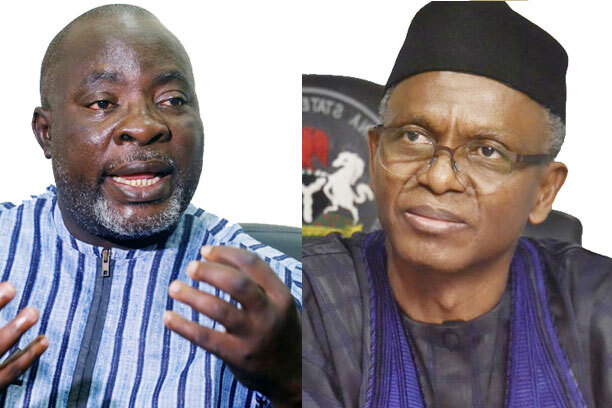 ABUJA- The Peoples Democratic Party, PDP, has urged Kaduna State governor Nasir el-Rufai to channel his frustration to President Muhammadu Buhari, whom he allegedly described in derogatory terms in the past, instead of seeking to incite violence in the country. This is just as the PDP claimed that the governor’s threats that members of global democratic institutions working towards peaceful 2019 general elections in our country will return in body bags, has raised new questions regarding those behind the killing of expatriates and aid workers in various troubled parts of the country. Governor El-Rufai was quoted as saying recently that those with the intent to intervene in the country’s electoral process would return to their country in body bags. In a statement signed by its National Publicity Secretary of the party, Kola Ologbondiyan condemned the governor’s outburst, and came short of accusing him of hypocrisy. The statement read, “It is quite revealing that El-Rufai, who exposed General Buhari in 2010 as ‘unelectable’ is now prancing about in defence of Buhari’s incompetent and anti-democratic administration, to the extent of issuing death threats to others, just to secure his place under a dictatorial administration. “Governor El-Rufai had in 2010 described General Buhari as ill- equipped for modern day governance. He berated General Buhari of lacking capacity to comprehend current trends, to the extent that he would think that a blackberry was a fruit. “In his reply to General Buhari’s response to his earlier criticisms, El-Rufai stated: ‘Mallam El-Rufai wishes to remind General Buhari that he has remained perpetually unelectable because his record as military Head of State, and afterwards, is a warning that many Nigerians have wisely heeded. His insensitivity to Nigeria’s diversity and his parochial focus are already well-known. It called on the governor to look at himself in the mirror rather than looking for a scapegoat in observers whose only interest is for free and credible polls.